— It's going to take all of us to move Charlotte from 50 out of 50 in economic mobility. So we set a goal to build an Opportunity Movement that celebrates everyone's contributions. 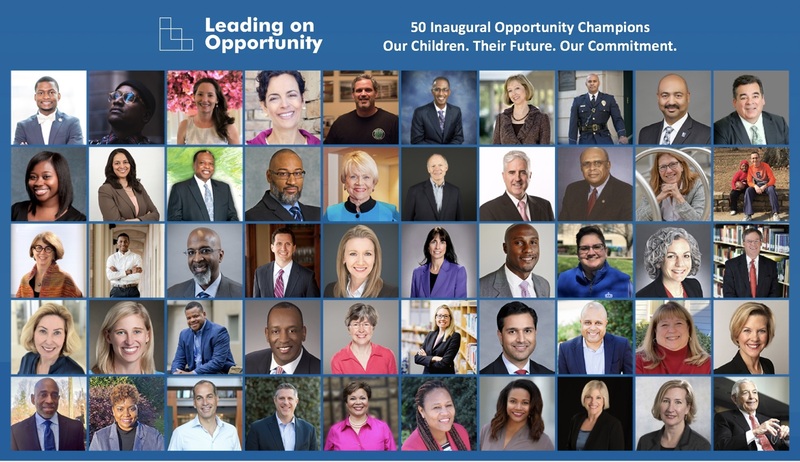 On Tuesday, March 26, 2019 at Founders Hall, Leading on Opportunity honored 50 Inaugural Opportunity Champions. Held at the 2-year anniversary of the creation of Leading on Opportunity, nearly 500 people joined at Founders Hall focused on the theme: Connect, Convene, Empower. Through words and action these Opportunity Champions stepped in, going above and beyond to support implementation and align to 1 or more of our 21 community-inspired strategies within the Charlotte-Mecklenburg Opportunity Task Force Report. Often without any public recognition, this group of distinguished leaders set the bar high for others in our community to invest in building a stronger equitable community for all children, youth and families. The esteemed group consists of visionaries, faith leaders, elected officials, equity advocates, affordable housing experts, nonprofit executives - large and small - corporate social responsibility executives, government employees, philanthropists, neighborhood leaders and many more. Each individual and their organization addresses one or more of our five core areas of work: the impact of segregation, early care and education, college and career readiness, child and family stability, and social capital. Council Co-Chairs James E. Ford and Andrea B. Smith, along with Executive Director Stephanie Cooper-Lewter and Council member Michael Marsicano, thanked the Inaugural Class of Opportunity Champions for their many contributions in their remarks. 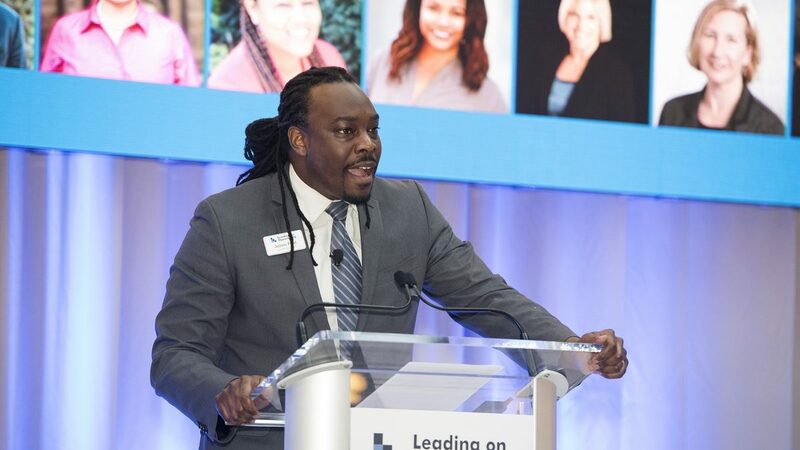 Collectively, our Opportunity Champions commitment and leadership serves as inspiration to others across Charlotte-Mecklenburg to step forward in bigger, bolder ways for our children, youth and families. • Janet Singerman, Child Care Resources, Inc.
• Nicholas V. Wharton, Charlotte Area Fund, Inc. The Day of Opportunity was supported by Bank of America, the Foundation For The Carolinas and Leading on Opportunity.